Regional differences. Title screens are the only ones that come to mind, but there may be more. Mario & Luigi: Dream Team is the fourth installment in the Mario & Luigi RPG series, featuring an evil dream vampire, a narcoleptic Luigi, and quite a few pillows. The game is internally refered to as "REDSPARK", fitting with the other Mario games. A few Bros Attacks were planned to return from previous entries in the series, but were cut for unknown reasons. The Ice Flower is very incomplete and was likely scrapped early on. 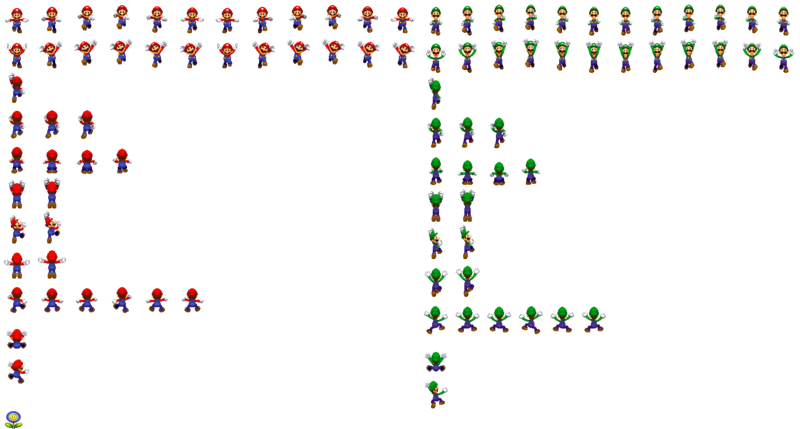 The item itself is the only thing related to the ice flower, the other bros sprites on this sheet being unedited copies of other regular battle sprites, such as Mario and Luigi running toward and away from the camera. It's strange to notice that most of this sprites are related to flying. 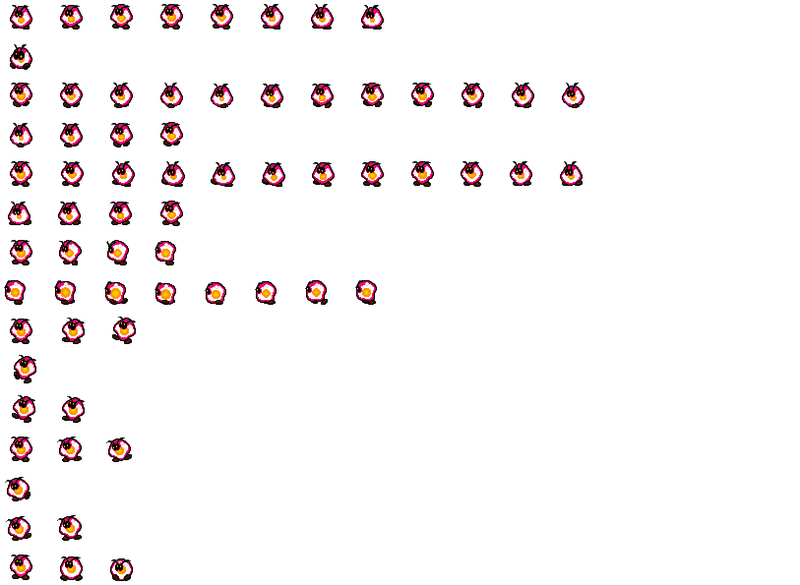 The sprites for the Yoo Who Cannon are noticeably more complete than the Ice Flower's, with it only really lacking the necessary sprites for the cannons, which are barely edited from the ones used in Superstar Saga. The Sprites for the Jump Helmet are largely complete. The attack was even changed to make use of the new foreground to background battle mechanic. 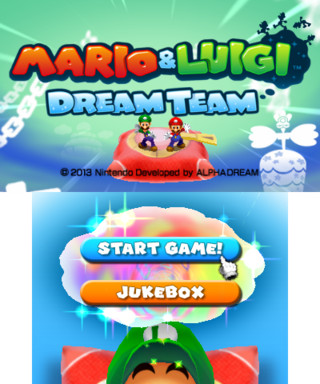 The reason this attack was removed is unclear, but it may have been because the attack relied on both the top and bottom screens, similar to Bros. attacks in the previous games, while Dream Team only uses the top screen in battles. Mario bouncing on the Jump Helmet with Good timing. Luigi waving after Mario successfully lands the attack. Luigi freaking out after Mario presumably misses the Jump Helmet. Luigi running to catch up with Mario after bouncing him forward. Same as above, except Luigi is adjusting his path to stay under Mario. Luigi bouncing Mario up into the air. An unused animation for Antasma, which looks like the death animation used after defeating him at the end of the game, with the exception that he is in his humanoid form in said animation, and not his bat form as seen here. 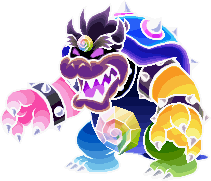 Dreamy Bowser has two unused identical sprites showing an early design for the boss. The most notable difference is that instead of the Dream Stone on his stomach, a spiral is present instead. 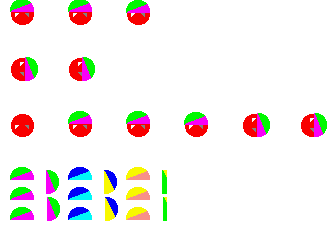 A crude drawing of an orb orb with a strange palette, presumably used either a placeholder or a test graphic. Two test images for the jigsaw puzzles. 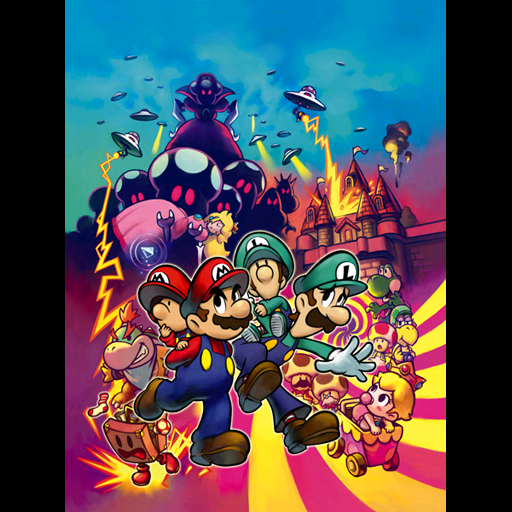 The first one is the official artwork from Mario & Luigi: Partners in Time. Final jigsaw images all feature horizontal borders, as opposed to the test image's vertical borders. 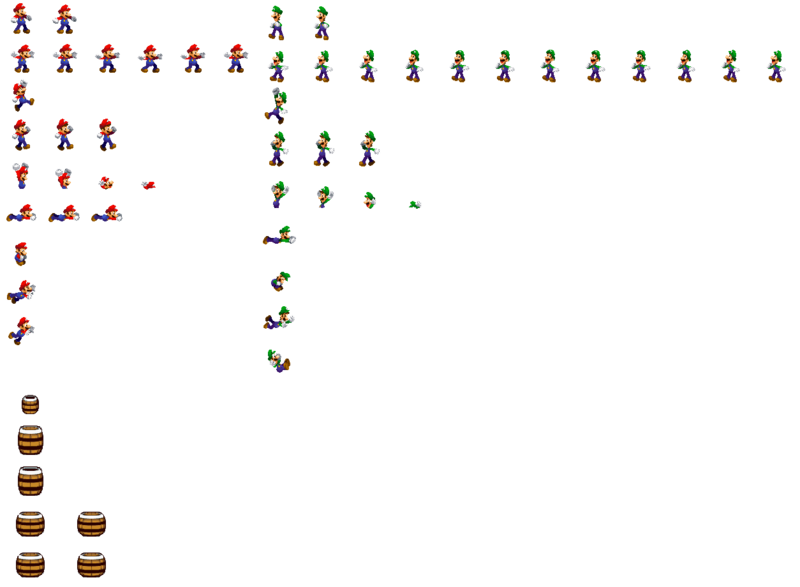 Various sprites from Bowser's Inside Story, the previous game in the Mario&Luigi franchise, were left in the files of Dream Team, completely unused. 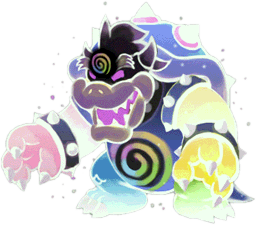 The Shroobs never make any appearance in Dream Team, with the exception of a cameo on a photo in Kylie Koopa's office in Wakeport. While Broque Monsieur, Broque Madame, and even Broggy reappear in Dream Team, the Blitties sadly don't make a comeback (which is strange seeing how the Brock specie was officially revealed in this game). May have been used as a reference during the creation of new enemy sprites. May have been used as a reference during the creation of new Mario sprites. May have been used as a reference during the creation of new Luigi sprites. In one segment of the first Mount Pajamaja tour, the Mario Bros. would have to spin jump into the Massif Bros. to clear fields of icicles obstructing their path. A major oversight in the original release was that if the player were to take certain actions during this point, they would inadvertently prevent themselves from progressing by leaving the required path obstructed. In the original release, the game had a tendency to freeze repeatedly at inconvenient times, especially in Somnom Woods and Neo Bowser Castle. In the original release, playtime on a file continued to be counted while the Nintendo 3DS was closed or the game was suspended. Version 1.1 only counts playtime while the game is actively playing. In the original release, a bug was present that prevented Mario from defeating Antasma in Neo Bowser Castle. After his defeat, Antasma leaves behind a "rare drop" present; in Version 1.0, there was a chance that this present would never open, forcing the player to reset. In the original release, when fighting Antasma X in the Battle Ring, the game had a chance of freezing when Dreamy Luigi is freed from an Antasmunchie X. When exiting the Battle Ring, shortly after Dreambert disappears, the bottom screen briefly flickers and Starlow's twinkle sound can be heard. It's likely just the game trying to play the cutscene which plays after defeating Grobot X for the first time in order to obtain the Zeekeeper's Feathers, before promptly stopping it after realizing that they already were collected and that there's no need to redo the cutscene, so the action stops midway, causing the screen flash and twinkle sound effect. One of the frame used in Bowser Jr's Hammer attack is "glitched". The fact that it is an in-between frame may explain why it wasn't noticed while playtesting the game. This page was last modified on 3 February 2019, at 01:27.